Here are pictures of some of our dogs. Arnie, Tammy, Prince, Sasha, Girlie, Sam and Ben have very regrettably passed away. The others are with us and making our lives richer with their antics, devotion and love. There are several others that went before them that we miss and remember, but that was before digital pictures. We hope you enjoy a peak into our pack. All of the dogs listed below are our dogs and are not available for fostering or adoption. Another dumped stray, Very likely used for breeding and either cost too much to birth the pups or didn’t have a profitable litter. So she was thrown out and picked up as a stray. She is a real character and her facial expressions are a joy to see, she can say more with a look than most people can with words! Loves her walks in the woods and warm soft bed also. She is our first dog to watch television and barks at any animal on screen! Lola is a real joy to share the home with, totally unflappable, takes it all in her stride. 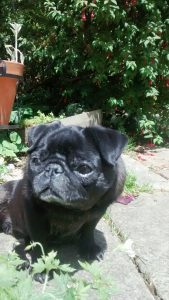 Poppy, Came to us in 2013, she was thrown into a garden and turned into the stray dogs kennels, skin and bone at 1.6kg, had 9 rotten teeth, a mammary tumour and crippled back leg. She was terrified of and expected to be hurt by people, obviously had no affection or love in her life. We think she was kept in a cage for a show dog or some foolish purpose. She now has the run of the house bonded to us totally. 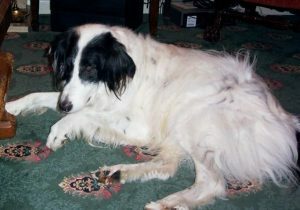 She sleeps in the bed and is a fit, healthy and happy, lovely girl who has a permanent home here with the other dogs. 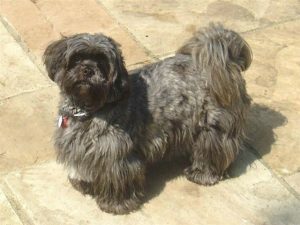 Dusty – Affectionately known as “The Duster”, Yorkshire Terrier. Came to us through a family move. We rehomed him once and were so glad when he came back. He is here to stay and fills our home with play and good spirit. 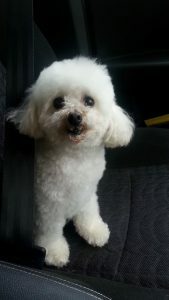 Lu Lu – Miniature Poodle, came as an unwanted puppy with some health problems. Now happy and healthy and a real character. Ruby, given to us at 2 1/2 from a busy young family. She settled in well and is getting used to a new lifestyle with all the rescue foster dogs coming through he house. Very affectionate and nice girl now part of the family. The dogs below have passed away and are no longer with us in body but they each left a lasting imprint on our life and in our heart. 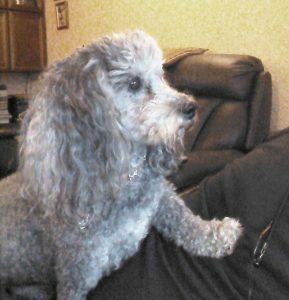 Magic, came to us around Aug 2010. Passed away Dec 25, 2018. 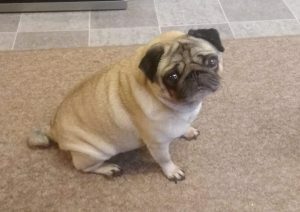 Maggie was about a third the size of a normal Pug, but what a big character! We have no idea how old Maggie was, we think around 16 or so, she was found as a stray, wandering the beach in a nearby town. Her ears closed with infection, her eyes caked with sand, almost blind. She was partially blind in her right eye and sufferer dry eye all her life. Always a total joy to take care of!!! 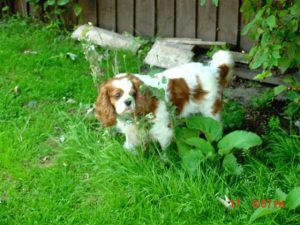 Such a small dog to leave such a big hole in our hearts…. We miss your big personality in that tiny body, Bet she is laying in the sun with Barney now across Rainbow Bridge! 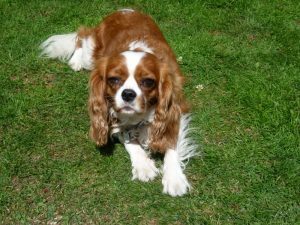 Lily came to us in May 2017, about 7 or 8 years old, she had been thrown out, still with mild from her last litter, obviously used for breeding at a puppy farm and no longer useful. 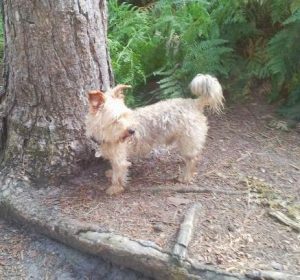 Lily hed mammary tumours and the worst rotten teeth we ever have seen and her vet bill was high, Lily had calouses on her hips, elbows and legs from laying on hard surfaces for years, probably in a concrete kennel, producing litter after litter. She shared her life with us for 13 months and very suddenly went downhill and passed within 24 hours, So sudden, so devastating! I only wish we could have had her longer, could have prevented the years of neglect and harsh life she had to lead for the financial gain of heartless breeders! 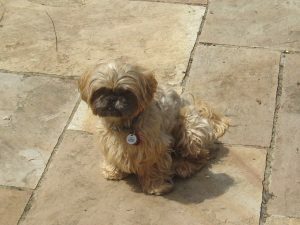 Mei Ling, Shih Tzu, Passed away 22 Dec 17 at the age of 15 yrs 8 mo. She was our only puppy so we had her at 8 weeks. She was full of character, super smart and quick, she could run with Sam the Lurcher (below) and keep up with him over 30 yards, her legs were a blur!! Such a sweet girl, filled with love and devotion to us but could be demanding as well and would sulk and tell us off if she didn’t get her share! Always full of life and energy, Rest now lovely girl, you are never forgotten! Barney came to us in Nov/Dec 2010. Passed away 16 Mar 2017 due to lymphoma cancer. I could write a book about this dog, in short we were told he was in a rescue for a year before being adopted by a good lady, she had him a year but had to let him go due to aggression to the male of the house and males in general (with good cause in my opinion!). He also had issues with large dogs as he was attacked by a German Shepherd. We placed him in 3 homes and he was returned by all, so it came down to keeping him or killing him. We had no idea how he would settle in with our existing dogs, but after 3 or 4 days he was fine. I spent 2 to 3 weeks being especially careful to build a strong trusting bond with him and the other dogs until he was one of the family. Barney always had some issues with large dogs and got excited when visitors come to the home but the aggression dimished to the point of being rare. 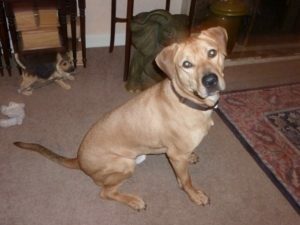 Barney was one of those special dogs that come along and require lots of patience, work and love. I sometimes wonder why we keep getting involved with these dogs, maybe its because we can and we seem to be the only ones willing to do so. But they always pay us back in tons of love and loyalty so he was worth every minute of the effort. We loved him to bits! He was that one SPECIAL dog, so intelligent, so kind to those he trusted, a gentleman to the rest of the gang no matter how small, and so careful, he never stepped on anyone no matter how excited he became. Our home is so empty without his presence, his character, his energy. Forever Missed!!! 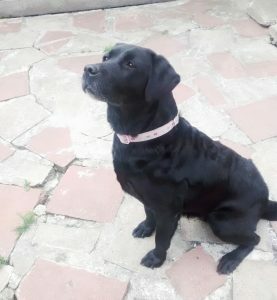 Pepper, rescued at 10 months, passed away at 14 years 1 month due to mast cell tumour, she was very loving in her own way and, when she let her guard down: highly strung, protective, and independent. She was a best friend for Ling. Always nose into everything, the most difficult dog in the world to housetrain, but we got there! She lived a long and happy life with us and the gang, She was always the one who got in the most trouble, had the most medical problems and complained the least! The home is less interesting without her to watch out for! Ben, rescued at 5yrs, my best friend, passed due to old age at 14 1/2/ He was truly the best dog I ever shared my life with, a super dog, taught me patience and so much more about how to tailor my training to each individual dog. He is always with me, and often comes to mind as I work with new dogs who need patience and love to bring them through. 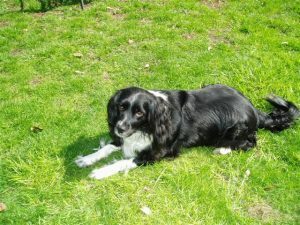 Passed on 6 Nov 2010 at 8 years old, due to bone cancer. So sudden and so tragic, a lovely gentle soul. His loss broke several hearts. He was so loved by those who knew him, he will be remembered with fondness and a tear for many years to come! He was rescued from the strays kennel on Xmas day 2003, just skin and bone, about dead and he had given up the fight for life in that cold, wet and forlorn place. 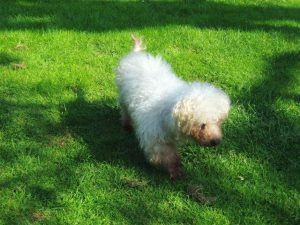 He was nursed back to health and after failing to stay in 3 homes it was obvious he wanted to stay with us. He was a handful but not a bad dog, just a bit misguided and after a few years he came round to be a great dog who could run like the wind with such grace and beauty it was a joy to see. 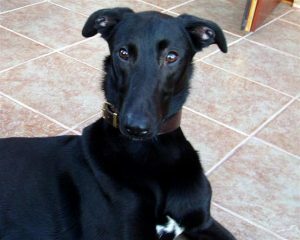 About 2 years prior to his early death he went to live with Roxy: another black Lurcher cross who was his friend. They, and his new family, were so happy together and he was so loved and cherished, that we know that letting him go was the right thing to do. 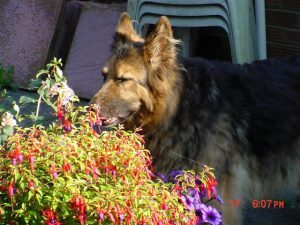 Sasha, passed on at 14, came to us at 7ish, full of fear and badly abused by an alcoholic male owner, she trusted Daphne right away but men, well it took 6 months before she would eat if I was in the room. After 2 years she finally trusted me and most men enough to walk with me and even did some training with me, but Sasha was mainly Daphne’s dog to the bottom of her heart. Over the years she lost her fear and her trust in me grew, I could even use her as a stooge dog when working with aggressive dogs, she trusted me and stayed with me during the scary, up close times. She was our matriarch who kept all the younger dogs under control withy just a glance, I wish I could understand what she did and how she did it, incredible !! Such a truly intelligent and gentle soul, a friend forever and forever missed! Prince, passed on at 13 1/2, rescued at 5yrs, a lovely gentle giant. He forgave a great deal as I made the transition from compulsive ways to Clicker Training. Never forgotten. Tammy, the sweetest dog passed away Feb 06, Arnie’s sister. No malice in her ever, just pure love and trust! Hard to believe they were from the same litter. Girlie, passed away in her sleep one night in May 2007. 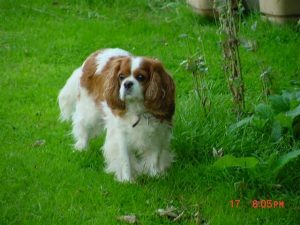 She came to us Dec 2005 in a very poor state after being taken to the vets to be put to sleep by someone who found her nearly hairless and with a deep skin infection. After much nursing her coat grew back and although she had mammary tumours, had lost an eye and all her teeth, she enjoyed her little life and dealt with her difficulties with dignity. She was a joy and inspiration to everyone who came to know her. Arnie, rescued at age 2 with his sister Tammy above. His back legs finally totally gave way in May 2007 and we had to let him go. He was a Big Dog in a small dog body with a personality to match a D8 Cat. If he had been a large powerful dog he would have been in serious trouble several times, but he was a great little man full of love and devotion especially for his human “Mom”. 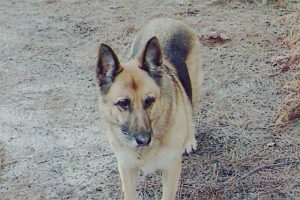 He was the quickest dog to learn anything I have ever know and did obedience and agility with gusto. It was a pleasure to share our life with you little friend!! !